We participate in educational programs available for educators of all types, for more information on any of these or our other programs, contact us at (701) 282-2157 extension 3. See also our teaching resources page for resources and materials available for educators. 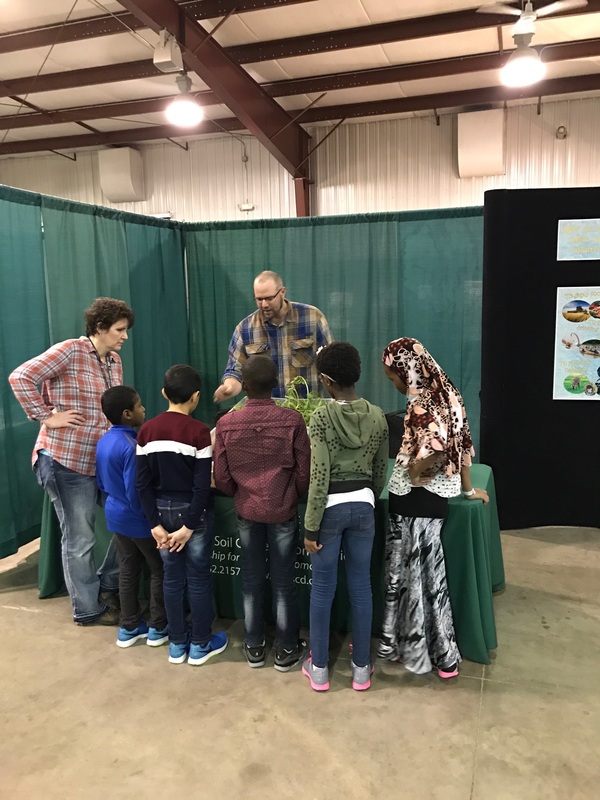 Kids today may not realize where their food and fiber products come from, but the North Dakota Agriculture in the Classroom program is working to change that. Agriculture in the Classroom efforts help K-12 teachers integrate agricultural information into the science, math, social studies, language arts and other classes they teach. In observance of this date we hold many events in conjunction with local agencies and organizations. 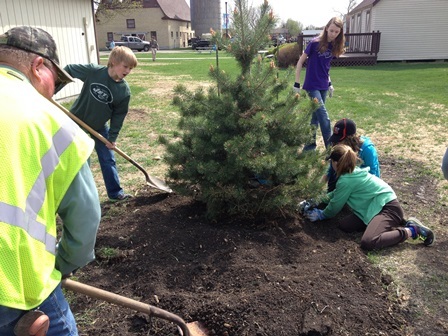 Additionally, we offer school tree planting ceremonies to local schools on an annual basis. If you are interested in having a tree planting at your school, please contact us by phone or email. 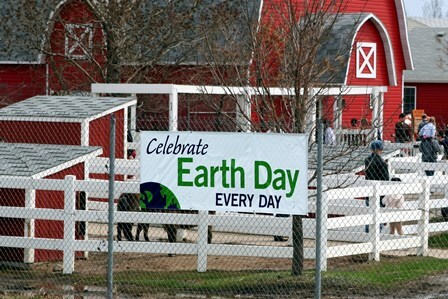 Every April, the FM area comes together to celebrate Earth Week with various events and activities to help remind us that we should aim to celebrate earth week every day! 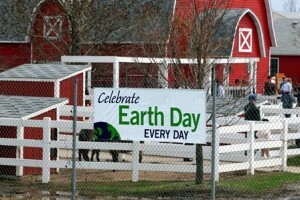 For more information on getting involved in Earth Week activities contact us! Every fall, Cass County SCD hosts Eco-Ed (ecological education) field days for Cass County 7th and 8th grade students. 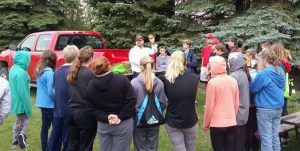 This event educates students on a variety of conservation topics which support North Dakota State curriculum standards for life science. 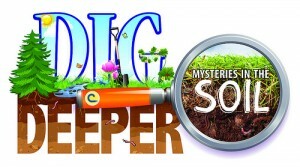 Contact us for more information on bringing your class to an Eco-Ed field day or for volunteer information. 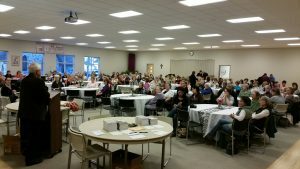 Every year, Cass County SCD celebrates the vital role that women play in agricultural production and conservation by holding a celebratory program for women of Cass County involved in agriculture. This program offers an evening of educational and fun entertainment as well as an evening meal and prizes! If you are a woman involved in agriculture and you do not normally receive an invitation to this event and would like to attend, please contact us by phone or email. For more information on women in agriculture, please visit the Farm Service Agency’s Women Outreach Program website here. Stewardship Week helps to remind us all of the power each person has to conserve natural resources and improve the world. 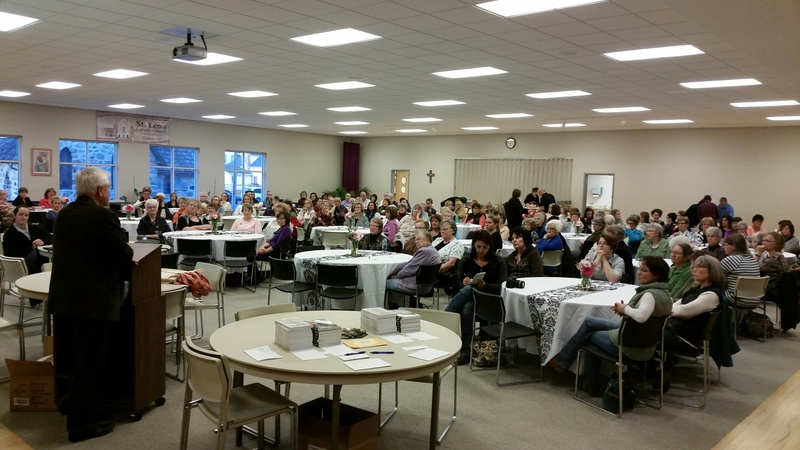 During this week, Cass County SCD distributes FREE stewardship education materials to local groups, organizations, and churches. If your organization is interested in receiving materials to celebrate this event, please contact us by phone or email. The TREES (The Regional Environmental Education Series) program consists of six separate programs designed to emphasize the need to protect and conserve our natural resources. They are presented lyceum style or in classroom setting. 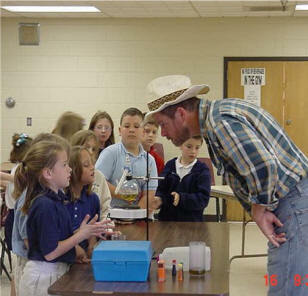 The presentations are provided at no or minimal cost to schools. They are sponsored by a local Soil Conservation District and grants from the Environmental Protection Agency, the North Dakota Natural Resource Trust, and North Dakota NPS Pollution Task Force. If you are a teacher in North Dakota and would like to have these programs presented to your class or school, please contact our office for scheduling.